I always say that UX inspiration comes from the world around us, and we can learn a lot from websites we’re constantly browsing. 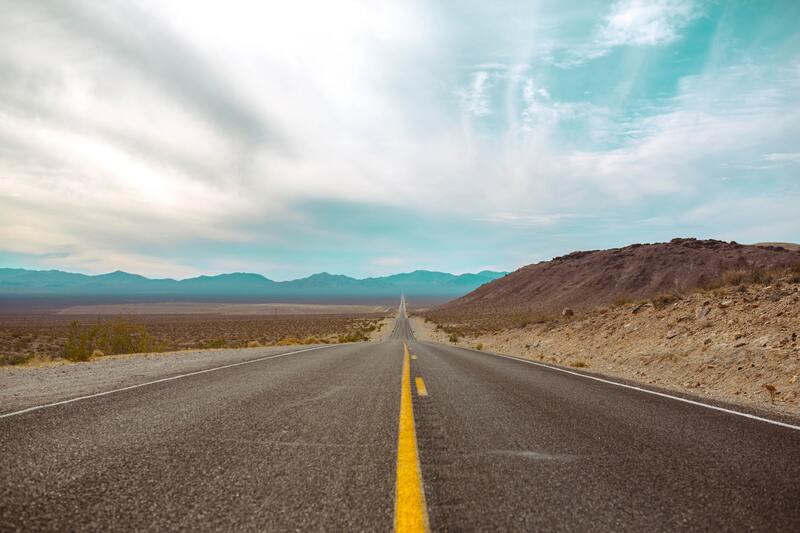 When planning for my summer vacation brought run-ins with countless hotel timetables and booking forms on travel websites, I paid attention to what worked and what didn’t. What was easy to use and what was simply annoying? I took notes on what made me exit the browser and what made me stay booking with certain companies. The travel websites I used the most had nailed the value of usability in User Experience. Although usability is a quality of User Interface (how easy something is to use), it’s also one of the many aspects of User Experience that involves “everything that affects the experience of the user.” According to the UX research firm Nielsen-Norman Group usability consists of five main goals: learnability, efficiency, memorability, errors, and user satisfaction. How easy is it for users to follow a desired action? Can they accomplish basic tasks the first time they see the design? How quickly can tasks be performed? If leaving and returning later, how quickly can they remember how the site works? If the user makes a mistake in the desired user flow, how quickly can they recover? How pleasant is it to use? Planning vacations can be overwhelming, that’s why websites that gave me a place to start were automatically winning in the UX department. If a website is easy to use, it should be easy to navigate. Websites with a clear indication of where to start on the homepage took the stress out of planning a vacation. Since the homepage is usually the place with the most interaction, placing engaging and foolproof content will keep visitors intrigued and wanting to use your site. 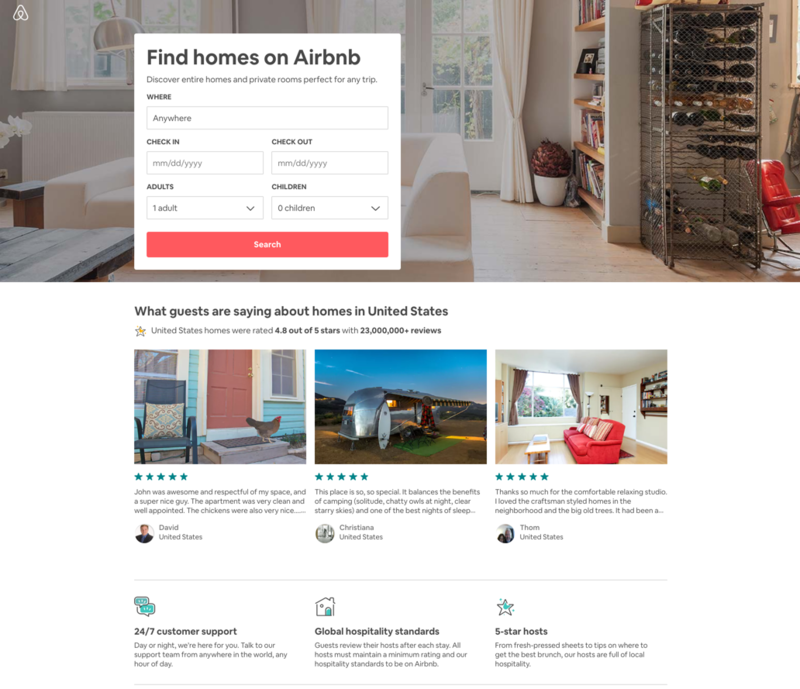 Airbnb knows that it’s users are going to their website to find a place to stay in any desired location. In response, they placed a straightforward search engine on the top of their homepage, effectively keeping their site simple and easy to use. If you know where you want to go, it’s easy to search for places to stay, and if you’re a spur of the moment person, suggestions are right below the navigation. If you haven’t picked a destination yet, Airbnb prompts suggestions of homes you might like. You’re lying to yourself if baby blue water and resort photos don’t draw you in. Especially on travel websites, high impact imagery sells the experience. Instead of stock photos, select imagery that is reflective of the brand and services that motivate users rather than bores them. If the call to action isn’t strengthened by an image, it’s not the right photo. Imagery is supposed to evoke emotion from the users, and websites that showcased beautiful scenery made me want to book with those companies. 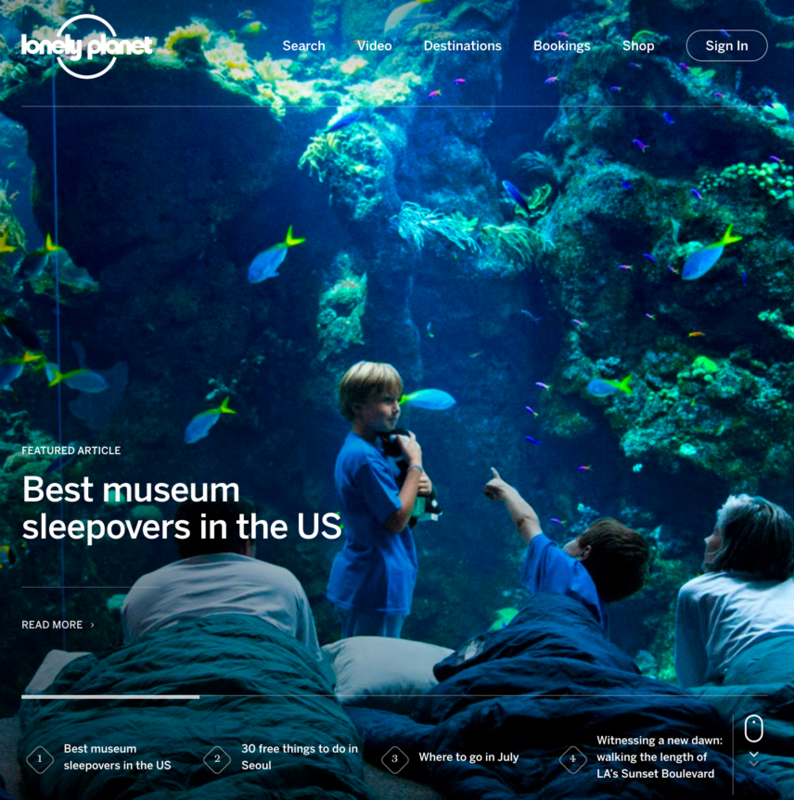 Lonely Planet utilizes high impact imagery throughout their entire homepage which inspires users to choose a destination. It also offers suggestions on what to do in those locations. Travel websites often evoke an overwhelming feeling. So many options, so many deals, right? I immediately clicked out of any browser that was crowded and confusing, or cluttered with a thousand images and CTA’s. For user experience, “less is more” is a phrase to live by. Focusing on relevant information and keeping things simple is easier for viewers to follow a desired user path. 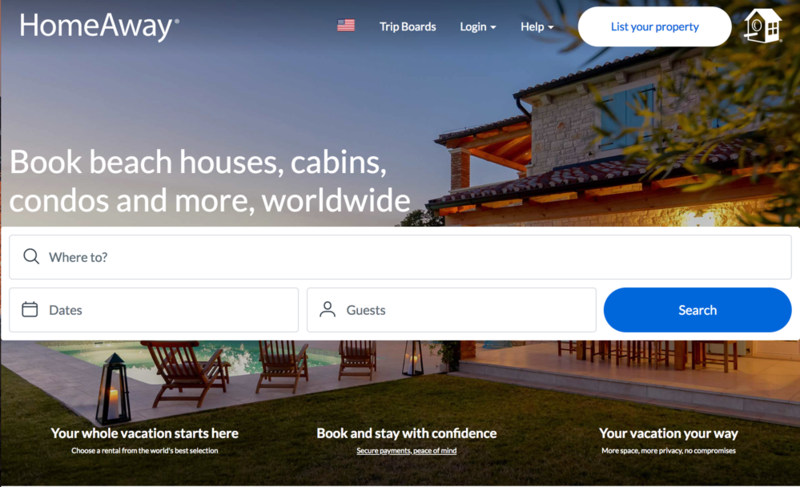 HomeAway doesn’t overwhelm the user with a thousand different pictures and navigation options. Their CTA is made more impactful with it’s simplicity. With so many travel websites out there, it’s hard to differentiate and understand all the services one company offers just by looking at the homepage. That’s why having a clear navigation is essential. Navigations aren’t always self explanatory. Having clear categories that are recognizable can increase function on your site. 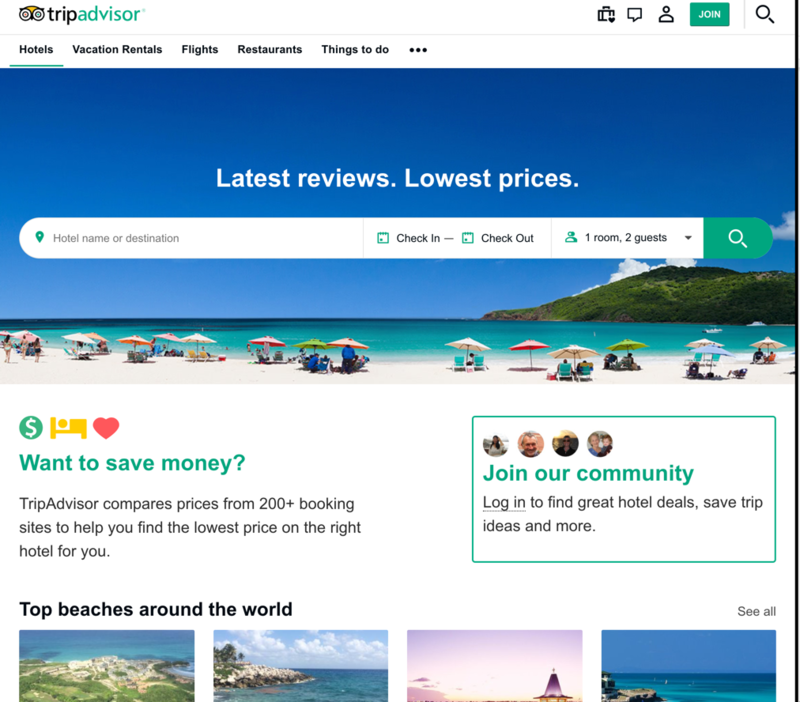 At first glance, TripAdvisors homepage looks like its only service is to help users find hotels, but it’s navigation clearly indicates where users can click to find out about other services. We naturally want to categorize and having sections to easily search on a navigation makes using travel websites all the more pleasant. If a travel website didn’t have an as equally easy to use mobile pairing, I didn’t use it as much. Given the nature of the demographics who use travel sites, often times it will be used in a mobile setting It’s important when visiting a site that they tackled their standing on both mobile and desktop. It’s even more important now than ever with Google changing its indexing and ranking to have prioritizes those sites with an exhaustive mobile platform. Since travel prices fluctuate so frequently it was nice to be able to open my phone and check what was available for what price while I was on the go. Overall, the easiest sites for me to use were simple, innovative and clear. Although I was merely booking vacations, jumping from website to website revealed the necessity for UX. Instead of being frustrated browsing through a site that’s overwhelming, the travel industry is learning what increases conversions and customer experience overtime.